Lansing — Gov. Rick Snyder will dedicate most of his State of the State address Tuesday night to the Flint water crisis that has engulfed his administration in recent weeks and begin the speech with a direct message to residents of the beleaguered city, The Detroit News has learned. Snyder will tell residents that he’s asking lawmakers for immediate financial assistance to pay for recovery efforts ranging from citywide testing of Flint’s lead-contaminated water system to medical treatment and monitoring of residents with unhealthy lead levels, according to a Snyder adviser familiar with the speech. With the exception of a proposed financial rescue of debt-ridden Detroit Public Schools district, the Republican governor’s other public policy priorities are being sidelined by Flint’s state of emergency, the adviser said. 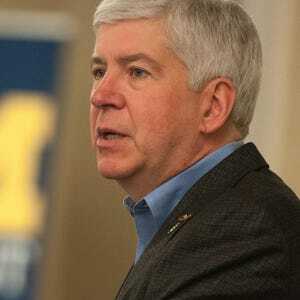 The speech will be unlike any State of the State address in recent memory as Snyder seeks to explain how state agencies are responding to a crisis that he acknowledges the state is to blame for, the source said. 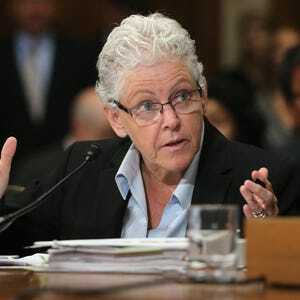 “This is more of a call to action State of the State,” the Snyder adviser told The News. Flint is beset by a lead-contaminated water system stemming from the city’s switch to Flint River water in April 2014 while under control of a Snyder-appointed emergency manager. In October, after state health officials confirmed elevated levels of lead in the bloodstreams of Flint children, the city was switched back to Detroit’s Lake Huron water system. In addition to an unspecified amount of emergency aid for Flint, Snyder has instructed state budget director John Roberts to completely revamp the 2017 fiscal year budget to include long-term budgeting for Flint’s recovery, according to the source. Roberts has said the state could tap $575 million in surplus tax revenue for Flint’s near-term needs. “It will take a lot to restore Flint’s infrastructure, even to the weakened condition that it was in before this crisis — before the highly corrosive water affected not only the public infrastructure but the private systems in homes,” Kildee said in an interview. Kildee said the state needs to make a lifelong commitment to the health care of Flint children under age six who may suffer “cognitive and behavioral challenges” as a result of ingesting toxic lead in the city’s drinking water. “I think this begs for a response that is robust and sustained,” Kildee said. The Federal Emergency Management Agency on Saturday denied Snyder’s request for a federal disaster zone designation and $96 million in aid to buy a year’s worth of faucet filters and replacement cartridges for Flint’s 99,000 residents, a 90 days’ supply of bottled water and $54.6 million to replace lead-leaching water service lines on private property. FEMA’s denial stems from the fact the Flint water contamination was a man-made crisis, not a natural disaster. 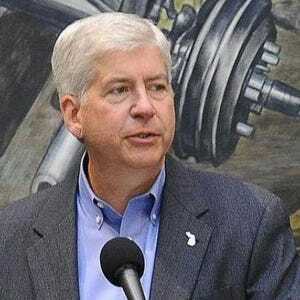 Snyder is planning an appeal to President Barack Obama. “It is disappointing because we could use the additional resources,” Snyder told The News on Monday morning after speaking at a Martin Luther King Day breakfast at the University of Michigan-Flint.